All of Christ's provision is imparted to us through grace. Unfortunately, too much of Christianity only emphasizes grace as an entrance into initial salvation. Satan's number one tactic for retarding spiritual growth is condemnation. We cannot stand against the spiritual warfare directed toward walking as sons without a solid revelation of grace filling our hearts. The satanic intent is to always make us the issue. But it's not about us at all; it's about who the Lord Jesus Christ is to us and in us. As we grow into spiritual maturity God Himself sees to it that we have a revelation of what we are in our adamic natures. This is not a pleasant experience, and satan takes advantage of it. God has condemned the flesh nature. A true walk with God begins with a new birth. Christianity is fraught with teaching on being "born again." The teachings degenerate very quickly, however, into a mixture of grace and works. Satan sows the seed of unworthiness into this mixture. No one will walk as a mature son who has not first learned the horrors of the adamic nature and overcome that nature through the grace of God. It is only through grace that God is glorified. The following are three definitions of grace this book explores: Grace is the wonderful, mystical, mysterious means by which God creates Himself in us. Grace is the vehicle by which all of God's righteousness is transferred to us. 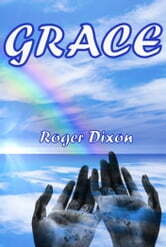 Grace is divine enabling as expressed by Paul in 1st Cor. 15:10: "But by the grace of God I am what I am, and His grace toward me did not prove vain; but I labored even more than all of them, yet not I, but the grace of God with me."